Conforma™ stretchable adhesive. New possibilities for comfort and fit. Conforma™ stretchable adhesive. New possibilities for comfort and fit. H.B. Fuller continues to remain innovative, having recently introduced ConformaTM stretchable adhesive to the hygiene market at IDEA16. This state-of-the-art adhesive has unique stretchable features and is applied with standard hot melt equipment. When paired with an extensible nonwoven it creates a conformable fabric that hugs the curves of the body. Cost-effective and comfortable, Conforma makes possible new stretch materials that are an ideal fit for disposable underwear in the adult incontinence market. Kevin Davis, a Ph.D. technical leader at H.B. Fuller, and his team were instrumental in the development of Conforma. While focusing specifically on hot melt adhesive technology for the global hygiene industry, they recognized a common trend in the hygiene market focused on improving comfort and fit by incorporating stretch features into the disposable absorbent products. After an extensive amount of market research and exploration, the team concluded that the adhesive itself could provide the stretch feature. One of the things Kevin and his team discovered while in the product development stage was that Conforma could be applied using conventional hot melt application equipment that our customers are already familiar with, potentially saving both time and money. Today, the end result is Conforma adhesive. The team is excited about the positive ramifications associated with getting this innovation into developers’ hands and exposing the adhesive to environments that they were previously unable to anticipate. Founded on a spirit of collaboration and shared success, we proudly invest in long-term customer partnerships and we are committed to supporting customers today and growing with them tomorrow. 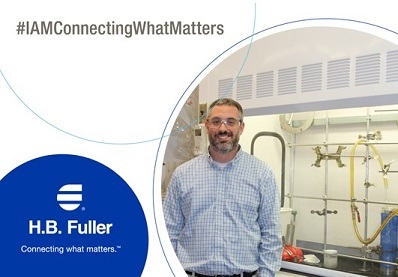 Download our white paper to learn more about Conforma stretchable adhesive for the hygiene market, or follow the hashtag #IAMConnectingWhatMatters on Twitter to see more H.B. Fuller success stories.